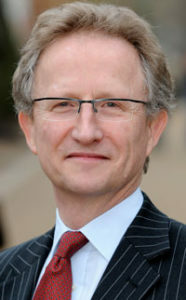 Peter is an intellectual property solicitor and specialist UK patent solicitor. He also advises on protection of designs. With science and biotechnology qualifications from Cambridge University, he has represented clients in significant cases, including Genentech (one of the leading cases on novelty) and the Glatt case (manufacturing powders by fluidisation). He has been listed in Chambers' Directory as a specialist in high tech patent disputes. Peter's Natural Sciences’ background gives him an understanding of scientific concepts and what those concepts mean for industry. Most solicitors think like solicitors. They often have difficulty understanding technical issues or expressing legal issues in ways properly understood by technically adept people. Peter's background gives the the ability to think the way scientists think. He has commercial insight into industry priorities, leading to better informed advice and directed to the legal and commercial issues that matter to his clients.